Health is the industry to be in if you want your company to survive. Birmingham-based businesses in the health sector are more than one and a half times more likely to survive five years than companies in the area generally. Figures from the Office for National Statistics show 62.5% of businesses in the health sector launched in 2011 were still running five years later. That compares to an overall five-year survival rate of just 39% for all businesses in Birmingham. Other sectors where your business has a good chance of going the distance include information and communication, with 45.9% of businesses surviving five years, and education (45.5%). More risky sectors are business administration and support services, where 26.4% of companies survived five years, and retail, where 31.1% made their fifth anniversary. For all businesses launched in 2013 in Birmingham, 57.3% survived three years. The odds were best, again, for those in the health sector, with 72.4% surviving three years, but the outlook was worst for accommodation and food services, with less than half (48.9%) surviving for three years. 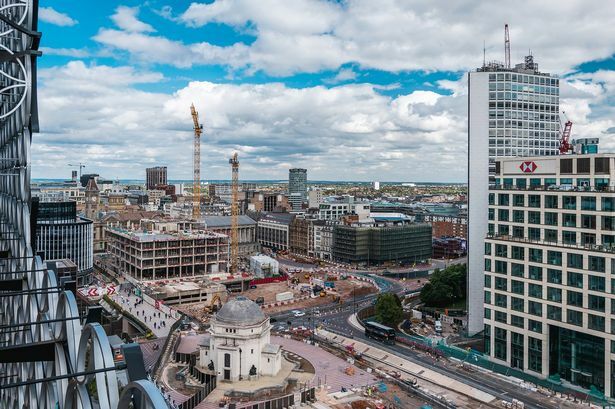 For those hoping to at least make it to their first anniversary, finance and insurance may be a bad choice - just 70.6% of businesses make it, compared to 89.5% of businesses in Birmingham generally. Across the UK, businesses in the health sector were the most likely to survive for five years, with 54% of those started in 2011 making it to 2016. This was followed by 51% of businesses in property and 49.4% in information and communication. In comparison, just over a third of businesses in accommodation and food services (34.6%) made it to five years, along with 37.7% of wholesale businesses and 38.6% of businesses in administration and business support. Health (69.8%) and education (67.4%) related businesses were the most likely to survive three years, while businesses in wholesale (54.2%) and accommodation and food services (54.7%) were the least likely. In terms of failing fast, just 69% of finance and insurance businesses and 70% of property businesses made it to their first birthday.